V-Fest is a concert & arts series in solidarity with V-Day, an anti-violence/oppression and womyn's liberation movement (trans-inclusive). Proceeds benefit local services such as Peaceful Paths, CMC, etc. Events include live music, dance party, "ladies band roulette", and a variety show featuring comedy, improv, poetry, dance routines, and acoustic artists. Participation is open to all people! Weds Feb 11th @Civic Media Center - Vfest Variety Show featuring comedy, musical theater, acoustic acts, and more! Comedian Rara Imler, Writer/Comedian Alyson Chadwick, music from, Katie Hargrove, Kathy Sohar, Lagoon!, and Musical Theater from Brittany Bennett & Friends! 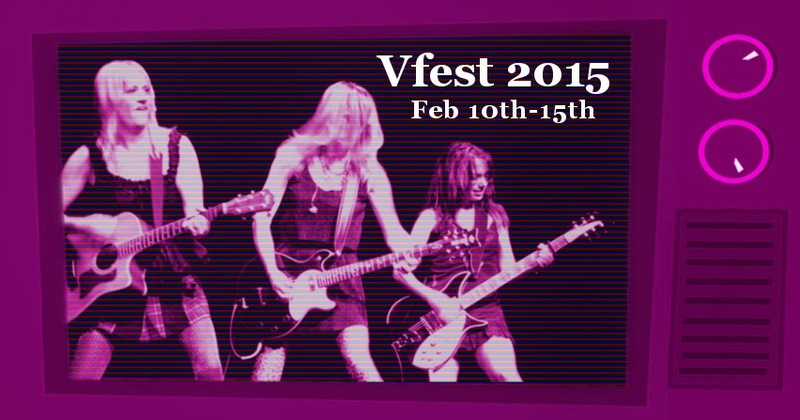 Bands were formed at random on Sat Jan 10th, with 1 month to practice, they will debut and perform at Vfest! featuring Melting Funk Pot, Soundtrack, and Mama Trish!